I grew up in Fairfax, Virginia. I lived there all the way through High School. I landed at Berklee College of Music for a short time. I transferred The University of North Texas. To make a long story short, I ended up graduating from the University of Florida, where I met the guys from Sister Hazel. Very early on. I started playing guitar right around seven or eight years old. My mom was a musician, so I grew up with music fans in the house. My brother, who is eight years old, had already amassed a classic rock collection. I fell in love. Music was always magical to me. She was a nun in Gainesville, Florida. She ran a homeless shelter down there, trying to give people a better life. When Ken Block, our lead singer, was putting the band together he remembered seeing her on TV a lot. He always said that our band should put people in a better place. That’s what we try to do with our music. It was fitting. That changes from night to night. Sometimes you enjoy the more intimate songs. Sometimes you just wanna rock out. Sometimes we’ll even improvise a song we’ve written and have “musical moments.” Those are unpredictable and fun. Q: Your songs have been featured in many films and TV shows. How does it feel to know that you’re a part of visual media history? To see another artist want to use our art in theirs..it feels great. It’s a great compliment! It’s cool to catch people by surprise by “popping up” in a TV show or film. Q: What does it take to last in this industry? Well, you have to get along with your band mates. ::laughs:: You have to continue to be inspired, and write music that you love. Not just music you think will be successful. You can chase that for years. You have to write from the heart. Always remember to pick your battles, and control what you’re capable of controlling. We’ve been fortunate to have a very strong fan base that keeps our Army marching. We respect that, and try to cater to our audience as much as possible. We’ve been doing the Rock Boat for about 18 years or so. We try to come up with a lifestyle for them. Q: Are you excited about your show here this week? Absolutely. We love that venue. It’s a special venue for us because we like to break down and do half the set acoustically. It’s a sit down room, so you can really get intimate. We enjoy that because we like to story tell a little bit. That gets lost sometimes in bigger venues. It’s really close to being a hometown show for me so I’ve gone full circle. 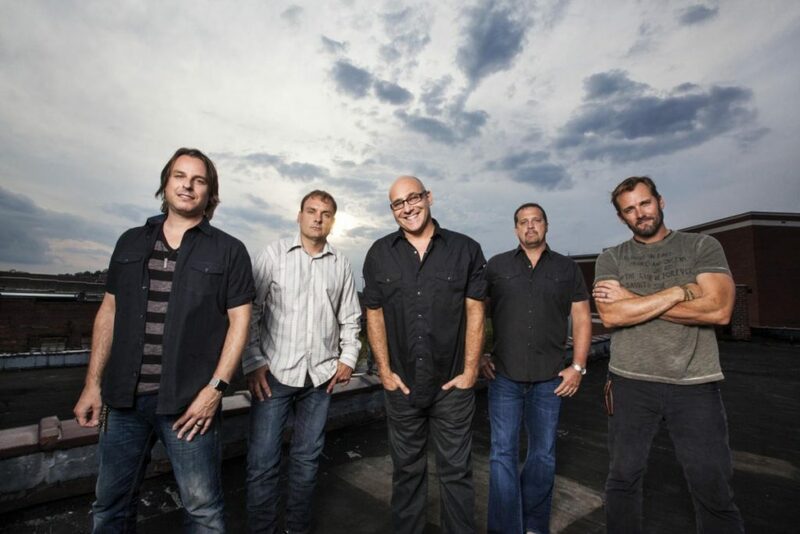 Sister Hazel performs a matinee show at Rams Head On Stage this Saturday!